Product prices and availability are accurate as of 2019-03-02 18:54:34 EST and are subject to change. Any price and availability information displayed on http://www.amazon.com/ at the time of purchase will apply to the purchase of this product. 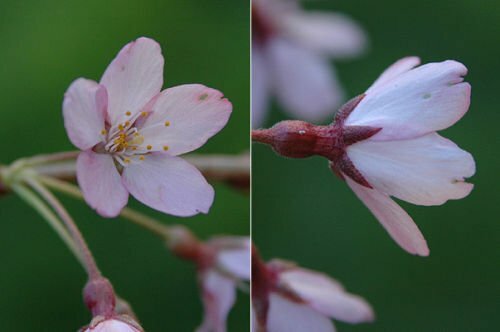 Other Names: Weeping Higan Cherry, Prunus subhirtella pendula, Weeping Japanese Cherry Zone: 5 to 8 Growth Rate: Fast Plant Type: Medium size deciduous flowering tree Family: Rosaceae Native Range: Japan Height: 20 to 30 feet Spread: 20 to 30 feet Shape: Weeping habit Bloom Time: April Bloom Color: Light pink to rose pink Flower/Fruit: Light-pink pendulous clusters of flowers. Fruits are small and glossy black. Sun: Full Sun to Part Shade Fall Color: Red or Vivid Yellow Drought Tolerance: Moderate Water: Medium Maintenance: Medium Uses: Weeping specimen for the landscape. Bonsai Thank You for Viewing.